Pet allergy is an allergic reaction to the proteins found in a pet’s dander, skin flakes, saliva and urine which also aggravate asthma symptoms in some people. Also, pet hair or fur can collect pollen, mold spores and other outdoor allergens. I am an ardent pet lover, especially of cats and dogs. I have my cat since I was in college. She always follows me around the house and sleeps with me every night. When I got married, I took her along with me. But one incident made me decide to take her back home to my family. Every time my cat entered our room, my son would begin to vigorously rub his eyes and it becomes watery. He would also have a runny nose, cough, and sneeze constantly. The first time it happened, we reckoned it was just the cold weather, however, we noticed that every time our cat would come near him, the same symptoms seemed to reappear. So we decided to take him to the hospital where the doctor confirmed he was allergic to cats. 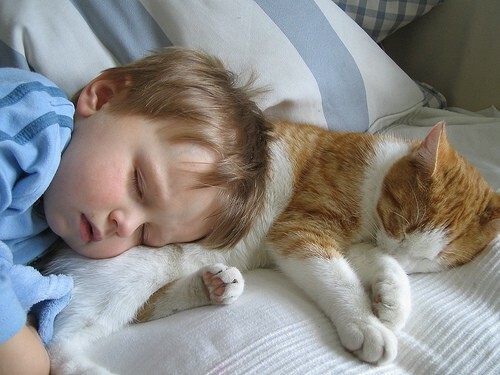 I would really like to keep my cat, however I do want my son to be able to feel better around her. If only there was a way to handle this situation in a better way. Allergy is a damaging immune response by the body to a substance/allergen to which it has become hypersensitive. An allergen is a normally harmless substance that triggers the immune system to overreact in people with allergies. 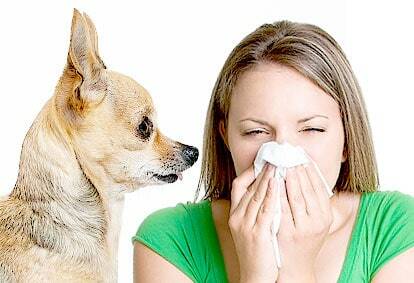 Pet allergy is triggered by exposure to the dead flakes of skin (dander) a pet sheds. You or your doctor may suspect you have a pet allergy, but allergy testing performed by an allergist/immunologist is the best method to diagnose exactly what you are allergic to and to develop a personalized plan to manage your symptoms. Your doctor may suggest an allergy skin test to determine exactly what you are allergic to. You may be referred to an allergy specialist (allergist) for this test. 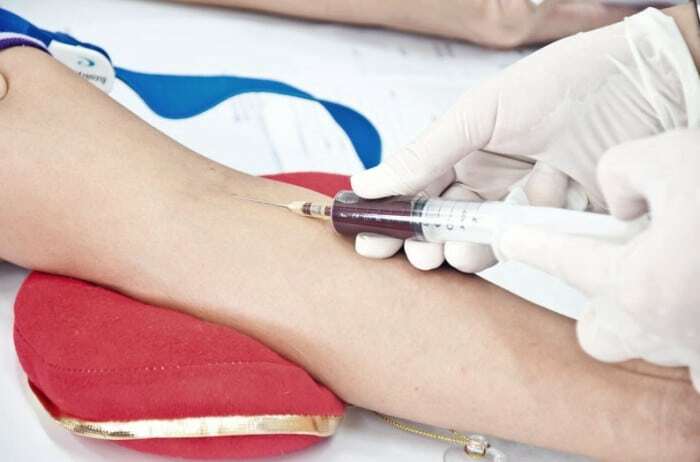 In some cases, a skin test cannot be performed because of the presence of a skin condition or because of interactions with certain medications. As an alternative, your doctor may order a blood test that screens your blood for specific allergy-causing antibodies to various common allergens, including various animals. This test may also indicate how sensitive you are to an allergen. The first line of treatment for controlling pet allergy is avoiding the allergy-causing animal as much as possible. When you minimize your exposure to pet allergens, you should expect to have allergic reactions that are less often or less severe. However, it’s often difficult or impossible to eliminate completely your exposure to animal allergens. Antihistamines reduce the production of an immune system chemical that is active in an allergic reaction, and they help relieve itching, sneezing and runny nose. 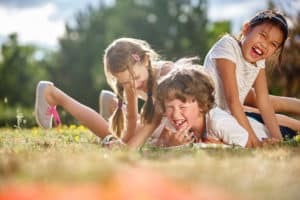 Corticosteroids delivered as a nasal spray can reduce inflammation and control symptoms of hay fever. 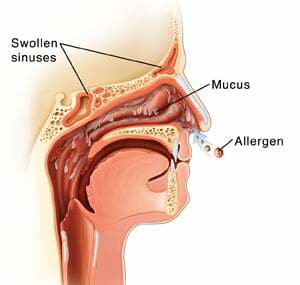 Decongestants can help shrink swollen tissues in your nasal passages and make it easier to breathe through your nose. Cromolyn sodium prevents the release of an immune system chemical and may reduce symptoms. Leukotriene modifiers block the action of certain immune system chemicals. I have severe allergies when I am around or near animals. It is so severe that even when I enter a house which has pets, I constantly start sneezing, coughing, my eyes become watery and itchy. I was prescribed certain medications by my doctor to suppress my allergic reactions, but sadly none of those medications seemed to provide any relief as my symptoms continued to persist. This has been a major flaw and a reason for much concern especially when I have to visit any of my friends or family who own a dog or a cat. I would just like to be able to visit people’s homes without worrying about breaking into my allergies. With NAET, we will get to the root cause and identify the allergen which is causing the allergy — in this case, the animal dander. NAET uses Muscle Response Testing (MRT) to confirm the presence of allergic reactivity. Once identified, the practitioner will use spinal manipulation, acupressure, and/or acupuncture procedures to eliminate the allergy. 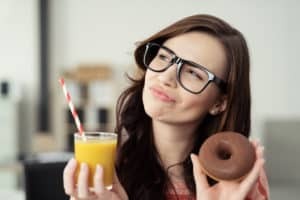 The treatment is geared to re-program the brain’s negative responses towards the allergen(s) to a positive response whenever these substances are contacted in the future. You can check your allergy to your pets, and your pet’s allergy towards you using the same method. The owner’s muscle is tested by the tester while the owner holds the allergen (animal dander) on her hand. 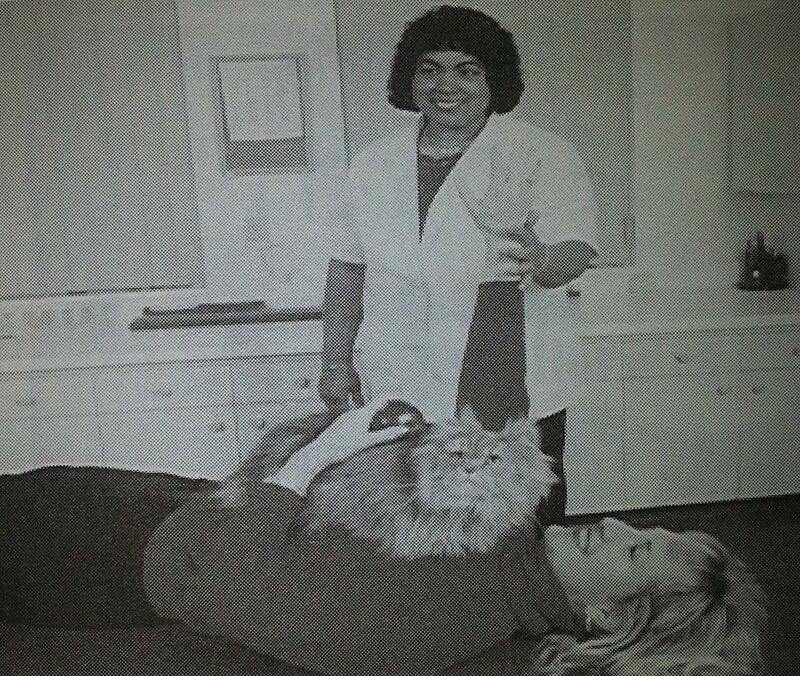 The owner hold the allergen on her right hand while the practitioner pushes on the raised left hand. If the muscle response test is weak, the owner is allergic to the pet. The owner can get treated by keeping the allergen on his/her hand while the doctor is administering the treatment. I wanted to tell you about an amazing and wonderful event in my life this week. Ever since I was a child I was remarkably allergic to cats. It has only gotten worse over the decades. I couldn’t even go to someone’s house who had a cat. Within a few minutes, I would be wheezing, sneezing, itching, and dripping and have to go home. I did several NAET treatments for various aspects of cat allergies including cat hair, cat saliva, cat urine, and kitty litter. Cool weblog you have! I will want to say thanks for it. If you like to see our site visit it out. Thnx for your visit! Wow, this bit of writing is pleasant, my younger sister is analyzing such things, therefore I am going to inform her. happen to be amazing! Thanks! my blog stick out. Please let me know where you got your theme. This is an great blog u have. I think I will visit your website more if u publish some more of the specific information. Many thanks for sharing the information. use and do so! Your writing taste continues to be amazed me. I love everything you guys are up too. This kind of clever work and exposure! that’s both equally educative and engaging, and certainly, you’ve hit the nail on the head. Hi, yes you can share our blog. We are looking forward to hearing from you on our next blogs. And also don’t forget to subscribe to our blogs and feel free to contact us if you need any further information. i got to take a look. I’m definitely loving the data. Thank you for your appreciation 🙂 Please don’t forget to subscribe to our blog and you will receive mails once we published new blogs. Highly informative details that you have said, warm regards for setting up. Good day there, just turned out to be conscious of your blogging site through yahoo, and have found that it’s pretty interesting. I’ll value in the event you continue on this informative article. Pretty informative specifics you have stated, thanks so much for writing. Thank you for your comment 🙂 . We are looking forward to hearing from you on our next blogs. Please don’t forget to subscribe to our blog and you will receive mails once we published new blogs. I’m still learning from you, as I’m trying to achieve my goals. I absolutely liked reading all that is posted on your blog.Keep the stories coming. I liked it!